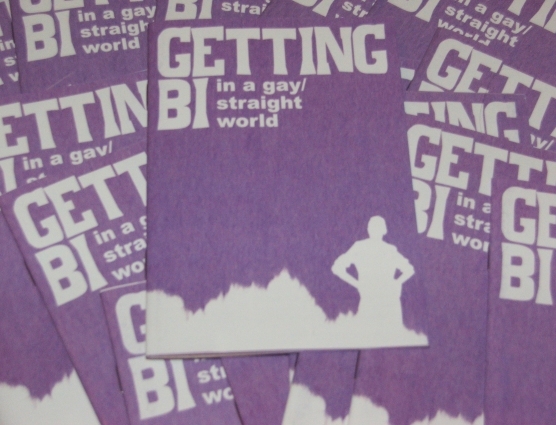 It's taken a good bit of work, but I'm delighted to be showing off about Getting Bi in a Gay / Straight World, a new bookletty publication that I've led on putting together, with the aid of a posse of people from inside and outside BiPhoria. It's glossy, it's pretty, it's colourful. It is chatty and uses simple words where it can. It does, I think, a pretty good job on including genderqueer well within a publication that is about B not T, sexuality not gender. And - this is the biggy - it's free and we've made more than 10,000 copies to give away thanks to some very good grant application writing. Once I've got some sturdy enough hosting to cope with people grabbing the PDF, there'll be an online PDF version too. Bear with me, just now I have a lot of work I'm juggling along with a day job and a real life! Many years ago - 1996 I reckon without looking it up - the then Bi Community News team produced an 8 page info sheet The BCN Starter Pack. It was like a cut-down version of (the then very newslettery) BCN, focused on coming out and what bi resources were out there. What mostly stuck with me at the time was the information about queer zines, but I know there was mythbusting and recommended books and films and so on. 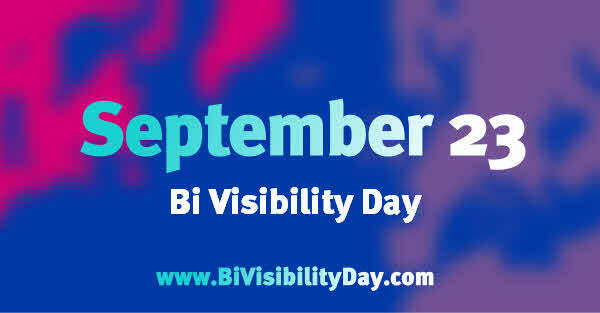 It underwent a few updates over the years including being rebranded as Everything you always wanted to know about bisexuality in the UK but didn't know who to ask, a title which at least would stand out in a booklist. 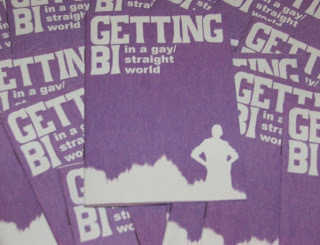 A few years later, around 2005, a gaggle of bi activists got together following one of the Bi Activist Weekends to write Both Directions, a remake from scratch of the Starter Pack. This time about 16 pages long, but on smaller pages - A5 not A4 - with information about things that hadn't been so relevant in the mid 90s like email lists and websites. It was, I'd have to admit, very wordy and lacking in pictures to break up the page: we were going for the cheapest possible print options and those can mangle photos into disasters. Both Directions has needed a decent makeover for a while, but sometimes it's easier to start with a blank sheet of paper. And so the new guidebook. 28 pages, though that's about as much paper as was in the other two as it's now A6 - the right size for many pockets and postcard or flyer racks. And with 1000s of copies already making their way into display racks across the county. Hats off to CFGM for funding the printing, and many thanks to everyone who helped proof-read, scribe, tweak or otherwise generally encourage this one into life: I'm really proud of it! 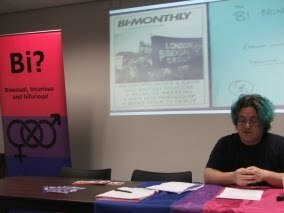 As a part of the events for LGBT History Month, I spoke at a BiPhoria event in Manchester earlier this week. 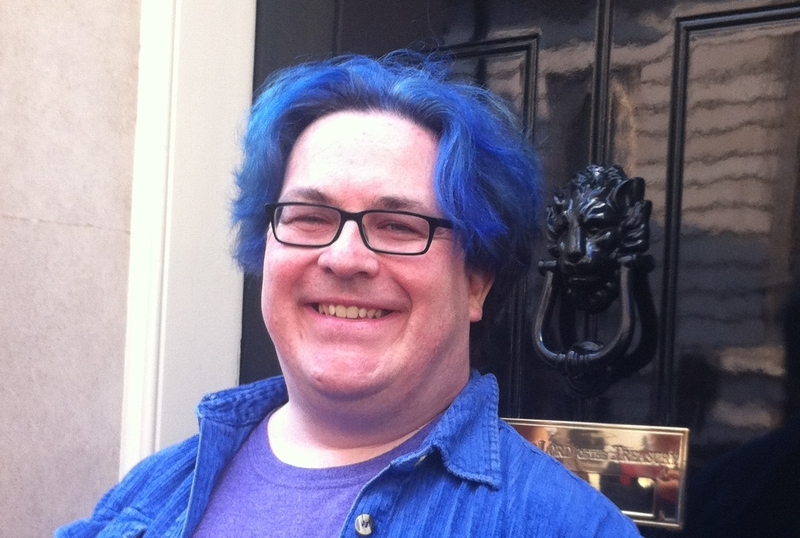 There was about a half-hour of me talking about the evolution of the bi scene in Manchester over the last 30 years and exploring what I've found so far in looking at stuff from before I was around, in the 1981 - 1993 era. Then there was a kind of Q & A / share your memories discussion for about an hour which was brilliant and I hope some of the people who brought things up there will carry on talking to me about the stuff I don't yet know! 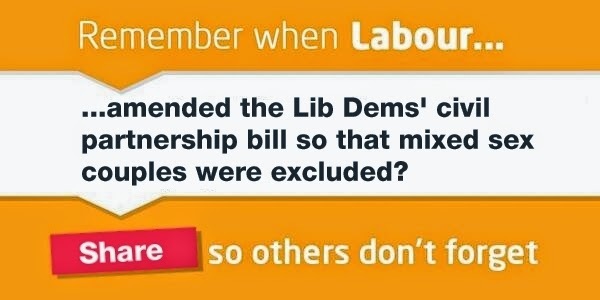 It's been quite a fascinating bit of research, reflecting how far we've come in some ways and how stuck we still are in others: in particular a council with one of the best reputations on LGBT in the country yet with a gulf between their delivery on LG and the rest, and a particularly sharply defined sense of 1980s gay and socialist-feminist politics. And I know I'm just past scratching the surface, with various sources now in mind for where to explore next. Damn but it's addictive! I've learned things I never knew about the evolution of the bi spaces the city has had, and discovered there's way more than you can fit into a half-hour so started picking particular narratives to explore in the story. And I promise to write it up properly over the coming year to record our history rather than just let it sit in my head. How about a nice little "subscribe to BCN" button? Suit your blog's weblinks down to a tee! Because I'm a hip, happening, party animal kind of a person, I've been reading the research findings of the Government Equalities Office's work on "experiences of and barriers to participation in public and political life for lesbian, gay, bisexual and transgender people". Now it's a huuuge great long report and there are some useful and interesting things in there both as a queer activist and as a left-wing politico. But there was one thing that really leapt out at me after a while. They aimed to recruit 80 interviewees. 20 L, 20 G, 20 B, 20 T. That in itself is a bit iffy - there are for instance almost certainly more bi people than lesbian and gay put together - but let's accept it as a way of getting a broad L+G+B+T cross-section for now. They recruited 20 lesbians, 22 gay men, 21 transgender people, and ...13 bisexuals. Apparently, we were really hard to find. So they gave up looking? And then they interviewed this group of 76 people (apparently no-one was both B and T, or what have you) and picked the most pertinent quotes from the panel to intersperse through the report, as you do when a long wordy publication needs a bit of colour. Quotes were anonymous but tagged [G] for a quote from a gay man, and so on. I thought there seemed to be a bit of a dearth of [B] so counted them up, as I had a long train journey to pass. Gosh. L, G or T, get interviewed and we'll use on average one and a half snippets of what you contributed. Bis? One quote each, form an orderly soundbite queue please. So: are bis boring, is this within normal statistical distribution, or is this a somewhat suspicious bit of subediting from GEO? So, I was down at the LGF for a bi group meeting and discovered upstairs from our meeting was a great big exhibition display doodah about LGBT history, focused on health issues and in the North West in particular. It was ever so pretty; I must post pictures here (I did take a few snaps). 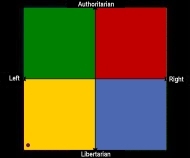 However, it is rather lacking in one of the four strands of LGBT. You can guess which, it's the one I'm almost always grumbling about when I say things like that. Now the early stuff, fair play, it is really a matter of debate to try and apply modern labels and meanings to relationships before words like homosexual, heterosexual and bisexual were in circulation. Sappho, for instance: lesbian icon, killed herself over her love of a bloke, but where would her sense of self have been if she'd had the modern Western-European sense of identities and life choices. Even 100 years ago, when we started to have a notion of homosexuality but for many people things could lead to social ostracism, imprisonment and more. But in the last 30 years - let's call it the "post Bowie era", there has been a growing amount of definitely, definedly B stuff. 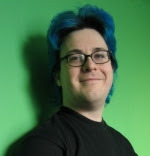 When you're doing a timeline that talks about the first lesbian and gay things in modern Manchester, stuff like the arrival of LGF on the scene or the lesbian newsletter, the TV/TS helplines and groups... to not include similar things in the bisexual community looks like a deliberate omission. Who was involved in putting it together? Damnit, display boards without email contact addresses on them...!